Quite a family! 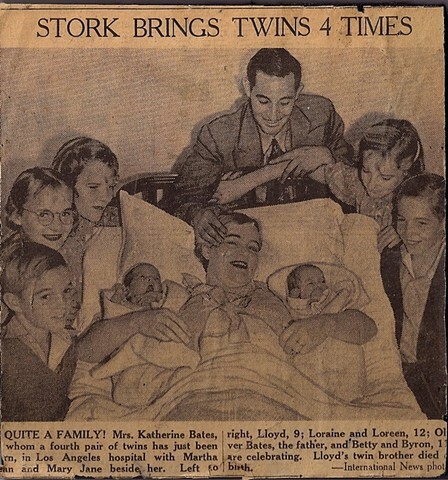 Mrs. Katherine Bates whom a fourth pair of twins has just been born in Los Angeles hospital with Martha and Mary Jane besides her. Left to right, Lloyd 9; Loreen, 12, Oliver Bates, the father, and Betty and Byron 12, are celebrating. Lloyd's twin brother died at birth.